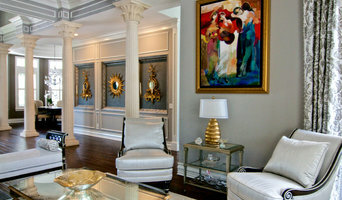 We are a design firm specializing in interior design and fine cabinetry. We specialize in custom American Made cabinetry as well as custom Italian cabinetry. We also have an in-house CAD rendering artist to help bring designs to life with realistic 3D Renderings. Whether it is a kitchen, bathroom, or a new build project, we have the resources to help take you from concept to finished product. We have built relationships over the years with trusted builders and craftsmen in the industry to ensure we help put the best people in place for your project. Creative Design Team is readily available to assist you in creating your new and exciting designs. 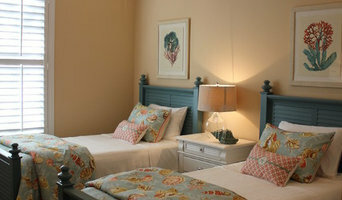 We care about how you want to feel in your space and assist you in expressing your style. Offering an infinite realm of ideas and wide selections of products we will complete your project fulfilling every detail with understanding, dedication and professionalism. 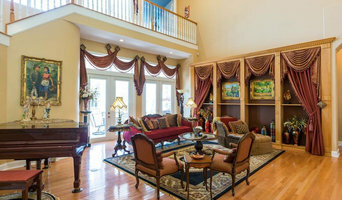 Established in 1992, our team leaders, Ron and Marya Flurnoy, continue assisting you in "Expressing your Style," such as: Casual Luxury, Grandeur Traditional, Simple Modern, Beach Living, or Classical Elegance. Our Specialties and Services include: • Complete interior design, re-design, "home enhancing" feng shui, and decorating for your home and business. • Award-winning custom window treatments in every style, function, and budget. • Selection and placement of accessories which include: framed art, wall coverings, area rugs and lighting.. • Custom fabrications which include: custom accent cabinetry, custom wall art and sculptures, re-upholstery of cushions and headboards. Creative Design Team bringing Infinite Possibilities to your Space by creating Interiors that Feel Good Inside! 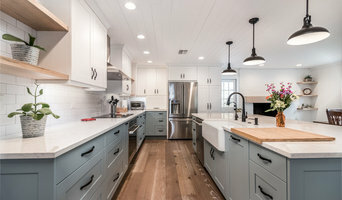 Accentrics Interiors is a Tampa based design firm known for their bold juxtaposition of timeless pieces with custom, more modern designs that are relevant to today. Their team designs spaces that are carefully composed and functional, embracing the clients design aesthetic and lifestyle needs.